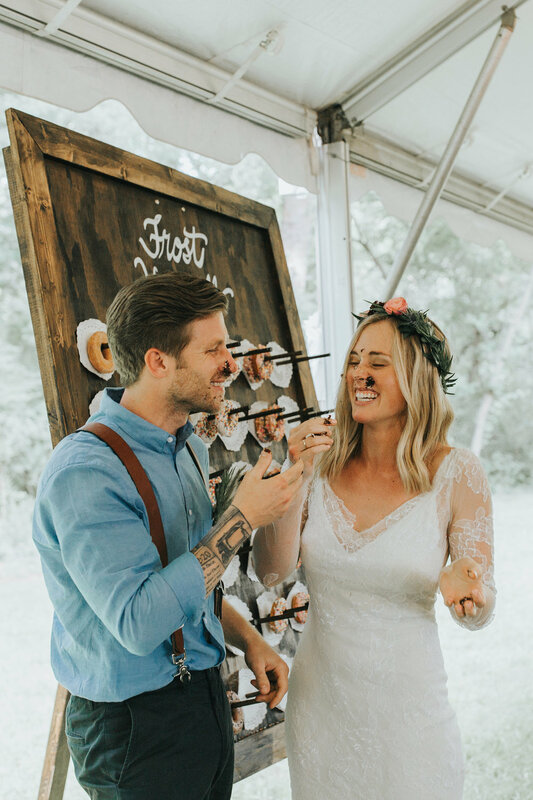 After meeting through mutual friends years ago and a long-distance NC to CA relationship, Kate and Seth were married in an intimate and romantic celebration in May! I seriously cannot say enough about these two - kind, loving, loyal, passionate, and so completely head over heels for each other!!! We were able to bring their vision they had for their big day to life, resulting in the most beautiful outdoor wedding I've ever been a part of!! 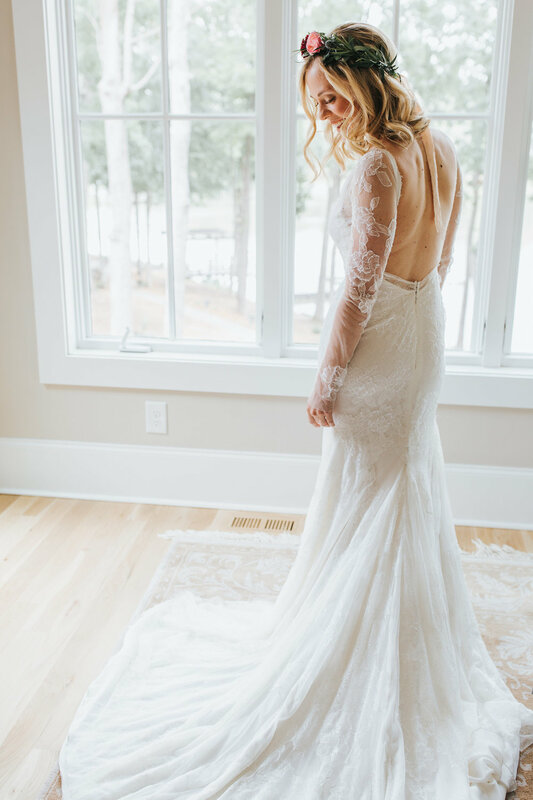 The combination of Kate's California style with Seth's North Carolina vibe seemed effortless, with whimsical florals, rustic touches, and all the intimate special details!! 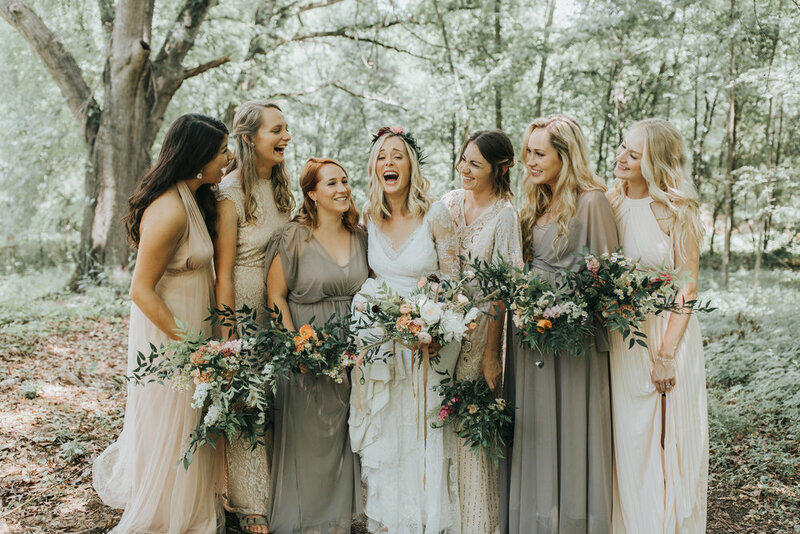 Kate was simply stunning in her boho gown, accented by her girls in mismatched neutrals. The florals were loose and bohemian, with touches of wildflowers. Seth and his guys wore dapper blues, with leather suspenders. These two did not see each other before the ceremony, but opted to touch hands and share a quiet moment together. The rain cleared just in time for the ceremony in the woods as Kate and her father entered the ceremony to bagpipe music. It was a ceremony filled with tradition and love from the entire audience as these two said "I do" under a rustic arch and the tall North Carolina pines. Kate and Seth had their first dance as husband and wife under market lights and a beautiful white tent. Guests were treated to delicious tacos from a food truck and shrimp and grits, a Southern favorite. There was no shortage of dessert as guests enjoyed a delicious wedding cake on vintage plates and assorted donuts! Everyone enjoyed the coffee station, featuring a cold brew bike and the coffee that Seth and Kate enjoyed on their first date! After an evening of dancing and toasts, Kate and Seth were whisked away through a sparkler exit with cheers from friends and family!